CNN continues to be exposed as little more than a Nazi-era propaganda network as yet another top figure admitted that the so-called “Trump-Russia collusion” narrative is nothing but a major hoax. Jones is the latest CNN target of Project Veritas, an investigative journalism organization responsible for a series of undercover bombshells exposing the chicanery and hypocrisy of far-Left figures and Democrats. And yet, as bizarre, unlikely and crazy, as that always sounded, far too many Americans actually believe it. But that is thanks in large part to Left-wing media outlets like CNN and others who have helped perpetuate the lie for months. Mixed in with this bogus narrative are claims that Russia “hacked” the U.S. election — another charge CNN has often repeated, without any evidence to support those charges — and that Russia “intervened” on behalf of Trump to defeat Clinton, ostensibly because Putin had a personal grudge against a woman who, as secretary of state, helped him obtain 20 percent of all strategic U.S. uranium supplies. Some elements of the U.S. intelligence community have said they believe Russia did hack the Democratic National Committee and the email account of John Podesta, Clinton’s campaign manager, and attempted to hack into some local state electronic balloting systems, but the DNC would not allow the FBI to examine their systems, and there is no evidence that the Russian hacking attempts on local systems changed any ballots, according to former DHS chief Jeh Johnson. As for CNN, it appears as though Project Veritas is onto something with the network; Jones’ admission is the second one in two days claiming that there is nothing at all to the Trump-Russia narrative. 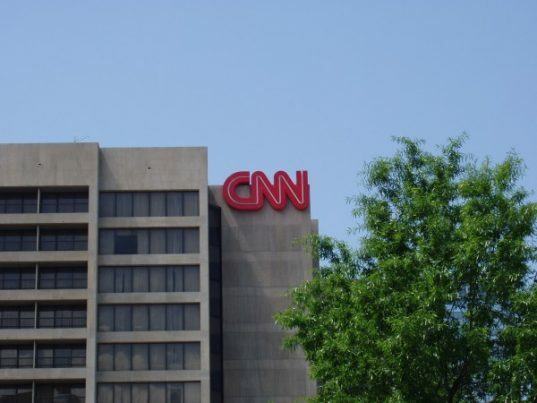 John Bonifield, a producer at the network, which is producing something like 95 percent Trump-hate pieces 24/7, admits on hidden camera CNN has not one shred of proof to back up all of its innuendo and allegations surrounding the manufactured narrative that President Donald J. Trump “colluded” with “The Russians” to “steal the election” from Hillary Clinton. Nevertheless, CNN and its allies throughout the Alt-Left fake news media are circling the wagons around the embattled, credibility-challenged network. They have pointed out that Bonifield is a health news producer, and that he’s not involved in the daily “political” coverage by the network. That excuse assumes, of course, that Bonifield has no interaction whatsoever with anyone doing political coverage and that despite the fact that he works for the same company in the same building, he would never hear anything at all about the political news division’s insight into a story that has dominated the network since last fall. But alright, I’ll play along; Bonifield is a health news producer, not a political news producer. Jones, on the other hand, has been neck-deep in this Trump hoax from the outset. He is a political news contributor. And he also says it’s BS. Game, set and match for the Propaganda News Network.